Triumvirate Environmental is a leading provider of hazardous waste management services, including hazardous material removal, transportation, and disposal; as well as the management of hazardous and high hazard waste within a facility. Our hazardous waste teams are experts in safe and compliant management of RCRA listed hazardous wastes, and we aim to ensure proper waste management at each step, from creation to accumulation, to removal and disposal. 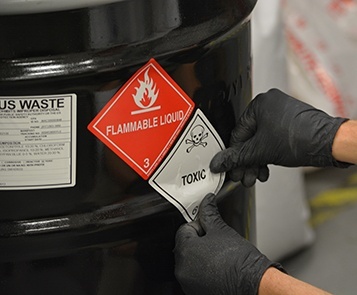 Triumvirate's hazardous waste professionals are specially trained and equipped to manage all waste in a specific market, allowing them to provide a level of expertise and service unmatched in the environmental services industry.